Every multirotor builder should have a stash of heat shrink tubing. It has multiple uses, not just the obvious one of insulating power plug such as XT60's, Deans and Bullet connectors etc. While it's great for protecting wires from short-circuiting, it can also be used to cover ESC's, stop braided cable sleeving from fraying and to provide abrasion resistance. 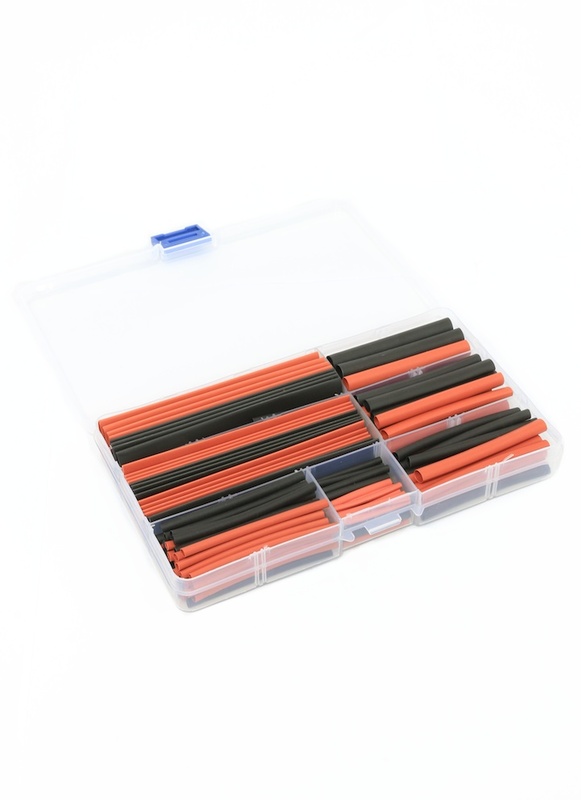 This 2:1 Polyolefin heat shrink kit offers an assortment of useful sizes ranging from 2mm - 13mm in black and red. It even comes with a handy storage box (also sold without case slighly cheaper). 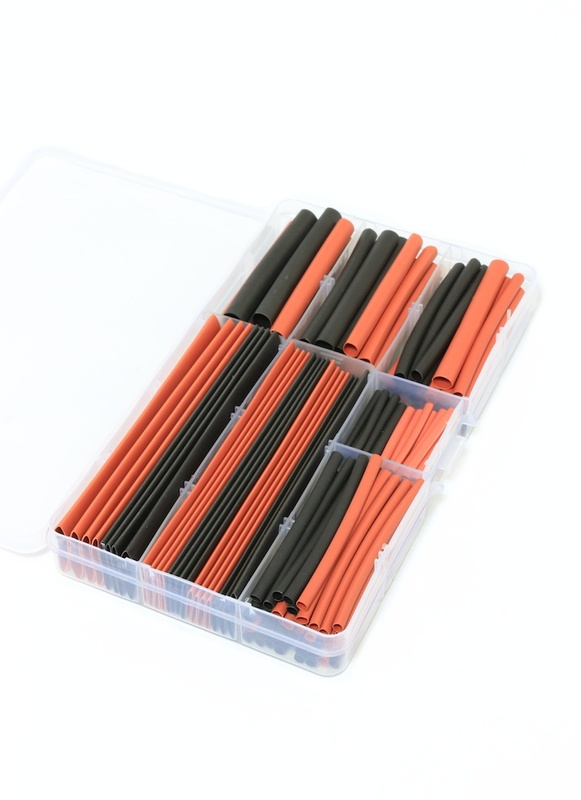 Heat shrink tubing can be applied with a hot air gun or carefully using a lighter.